Today: Did your kitchen fall into disarray in 2014? Give last year's guide to whipping it into shape another look -- and promise to do better this time around. The holidays are over. Yes, it's a bit of a letdown -- no more over-indulging in eggnog, spending all afternoon making Christmas cookies, or juggling dishes in and out of the oven. But look on the bright side. You can finally take a breath, enjoy the sudden quiet of the post-holiday calm, and take some you time. 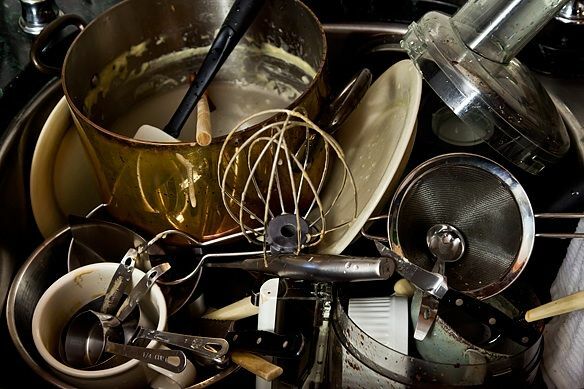 Does your kitchen look like a post-holiday war zone? Start here. Once everyone is fresh and clean, you can start digging deep -- and de-clutter. Yes, we know it hurts, but do you really need three shrimp de-veiners? Remember, a clutter-free kitchen leads to a clutter-free mind. Now that you've decided what to keep and what to chuck, it's time to make sure your kitchen staples are at their best. First step: sharpening your knives. Yes, this is absolutely worth doing. Sharper knives mean fewer slicing injuries, faster food prep, and more bang for your buck. Next, make sure your knives have a fresh platform on which to do their work. 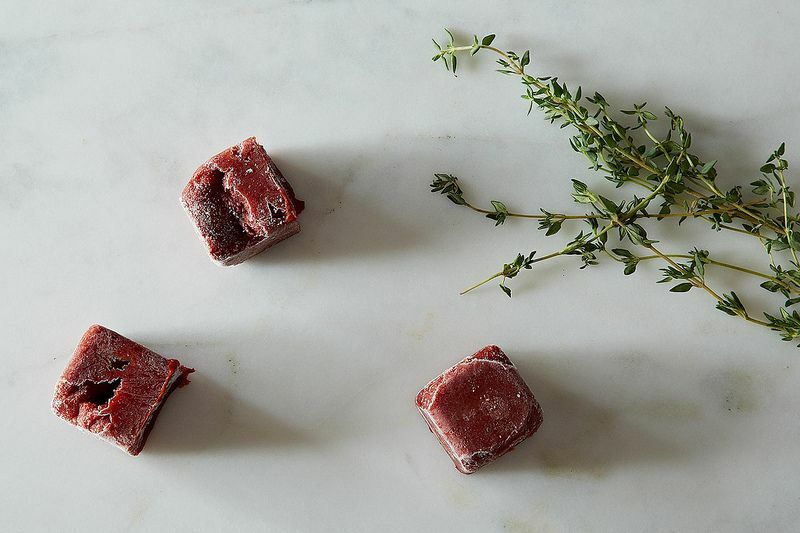 Are your cutting boards dull, smeared with stubborn beet stains, and redolent of garlic? Here's how to freshen them up to their original glory. Once you've cleared your fridge of mysterious fossilized cheese chunks, protect the rest of your stock. Here's how to wrap your cheese to keep it fresher, longer. For that matter, here's how to store all of your food better. Now that your kitchen is sparkly, clean, and tidy, resolve to keep it that way. It's easier than you think; especially when you take advantage of these 9 pantry items that double as cleaning tools. 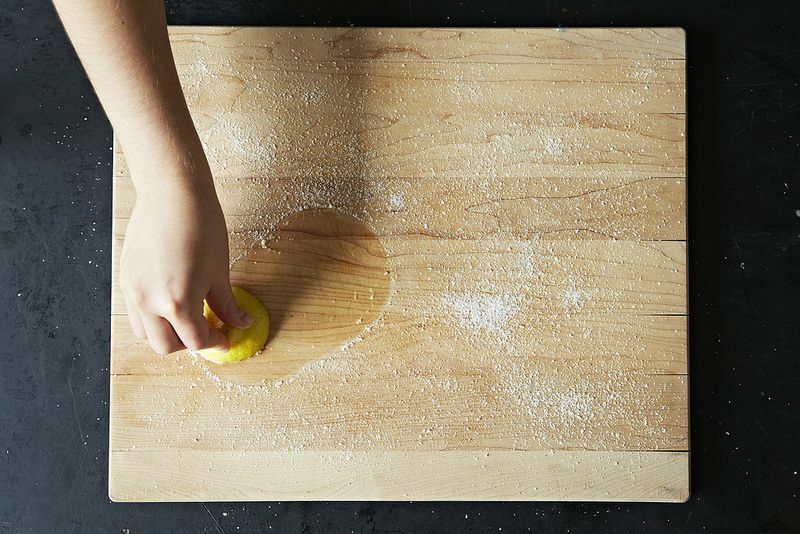 Keep your kitchen cleaner, naturally. Next, take out your linens. Are they stained with evidence of last summer's berry haul? Are oil stains running rampant on your dish towels? This year, let no stain go untreated -- start by learning these handy tricks for how to remove food stains. Start planning ahead. Fill your ice cube trays with sauces, stocks, and pestos -- a delicious homemade meal will never be more than a freezer away. 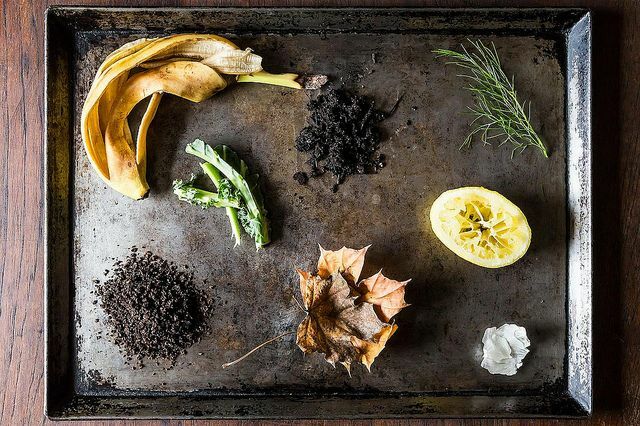 If you want to go above and beyond, think about starting to compost. We promise you will feel like an incredible person every time you throw your carrot peels in the compost instead of the trash. New year, new you baby. 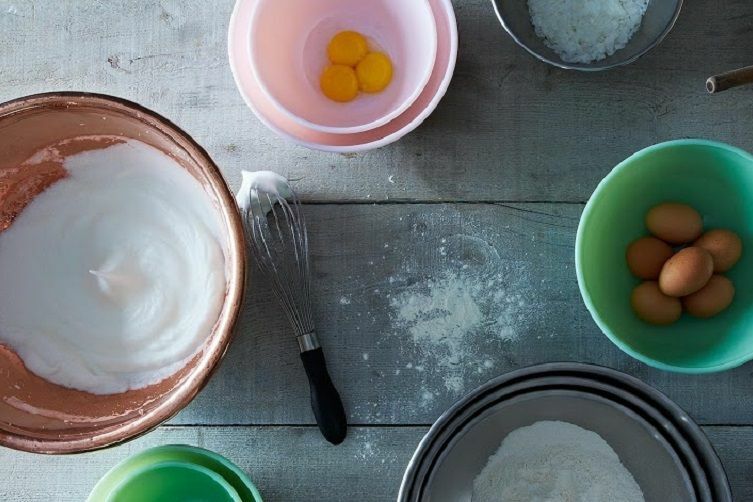 Are you harboring a drawer full of tattered, disorganized recipes? It's time to introduce a system for cataloguing your recipes. Yay! When I was living in Manhattan, I brought my compost to the Union Square farmer's market. Now that I'm back in Queens, I stop by the Little Neck Farm nearby with it every couple of weeks. I just keep it in quart-size yogurt containers, on the ledge behind my sink until they're full, though I do have a metal compost bucket my sister got me that's more presentable, so once our (60s, very inconvenient, dishwasher-less, fake wood cabinet) kitchen is redone soon, I may try finding a place for it on the counter to store the yogurt container in. No smell when you just leave it uncovered to dry out, and when it gets warm, I cover them and keep them in the fridge. I also first use (organic) carrot peels and broccoli stems to make stock before composting them. I live in the suburbs of Los Angeles on a small property so composting isn't quite so ideal, though it's technically possible if I really wanted to do it. I'd rather separate food waste from garbage if that was an option. Unfortunately LA doesn't provide a food waste collection service (although they do provide composting workshops and 11 cu ft composting bins for $40.) It will be interesting to see how Seattle handles their new law about no food waste in the trash and whether other cities follow them. Love this article, especially the simple and economical tips for repurposing and reducing food waste in the kitchen! *ahem* that teddy bear is terra cotta (a shard from a clean planting pot will do the same) NOT plastic and I love mine. They work, they're infintely reusable and they're environmentally better than the plastic bin you you show in the photo. Also takes less space in a city loft. Pfft.